SAN DIEGO, Calif. /California Newswire/ — Interpreters Unlimited, Inc. today announced that it has recently acquired Albors and Alnet, a language and medical transportation company. And, the Bank of Southern California was instrumental in providing the financing for the acquisition. As a result of this acquisition, Interpreters Unlimited has doubled its number of employees; can now offer medical transportation services; and has a presence on the east coast. "In addition to organic growth, this recent acquisition is the result of an aggressive in-house acquisition growth strategy," Shamus Sayed, vice president, sales and marketing for Interpreters Unlimited, says. "The service offerings of Albors & Alnet will enhance and complement our current language and interpretation offerings. We truly offer seamless services in a one-stop-shopping environment." Additionally, the company has enhanced its presence in the workers' compensation industry; has doubled company revenue; and is able to create more jobs in response to a growing language and interpreter industry. Interpreters Unlimited is currently experiencing 15 percent organic growth year-over-year. There are no signs that this growth is slowing down. Rene Albors, CEO of Albors & Alnet says that, "After 25 years in the workers' compensation industry, I'm proud that our mission to be a truly worldwide organization will continue under this new leadership." The market drivers for language company growth are clear. Among them are: more global presence for businesses; exponential growth in the nation's immigrant population; federal and state requirements for translation interpretation has tripled; legislation mandates insurance and medical providers to offer interpretation and translation services; and the minority population in the U.S. is 35 percent. In fact, in 2011, INC. Magazine listed three language companies among the fastest-growing private companies. Interpreters Unlimited is a full service language agency that provides all forms of interpretation and translation service. With a database of more than 8,000 interpreters, its service offerings include in-person interpretation, document translation, telephone interpretation, video remote interpretation, and sign language interpretation in more than 130 languages. In business for 40-plus years, Interpreters Unlimited, Inc. is one of the most established and largest language companies in California. This recent acquisition catapults it into having a national presence where it now ranks in the top 15 for language and interpretation companies. Established in 1988, Albors & Alnet focuses on providing interpreters and translators to the insurance industry. It also provides transportation to and from medical appointments for workers' compensation patients. It has a nationwide network that consists of thousands of language experts who offer a broad range of interpretation and translation services. 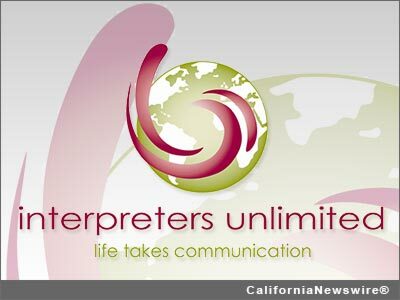 For more information about Interpreters Unlimited, Inc.: http://www.interpretersunlimited.com/ . For more information about Albors & Alnet: http://www.alborsalnet.com/ . To view a video about the value of translation services, visit: http://youtu.be/RmOcwuDuDpo .